How do I use the Notifications page as an admin? 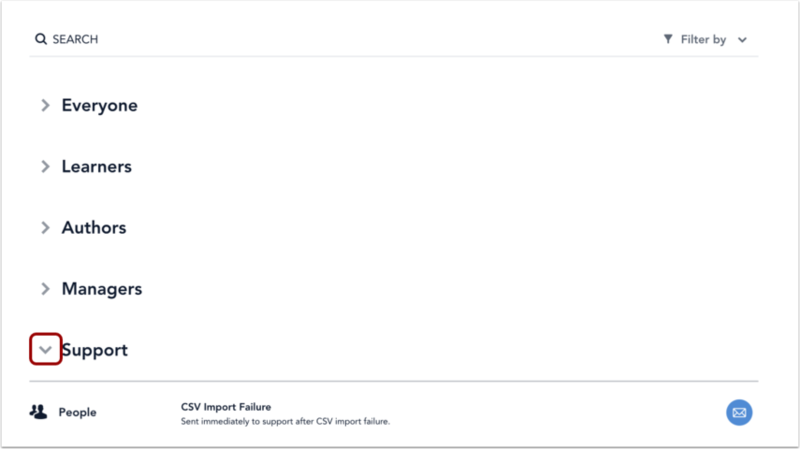 Admins can manage notification settings for learners, authors, managers, support, or everyone. In the Account Management menu , click the Notifications link . 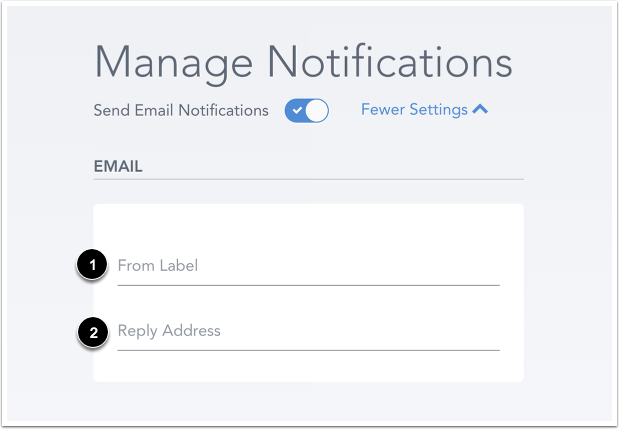 To enable email notifications, click the Send Email Notifications toggle button. To edit email notification labels, click the More Settings link. To customize the From Label and Reply Address that are included in email notifications sent from Bridge, add the desired text in the From Label field  and Reply Address field . The Notifications page is organized by group: Everyone, Learners, Authors, Managers, and Support. To view individual notifications settings within a group, click the Expand/Collapse arrow. To enable or disable a notification setting, click the Notifications button. Previous Topic:How do I create and manage categories in my account? Table of Contents > Manage Account Settings > How do I use the Notifications page as an admin? Re: Why still a "welcome notification" when the welcome check box has been turned off?